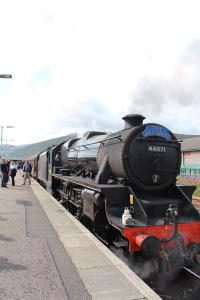 Another brilliant look at the Fort William to Mallaig Jacobite service. Is there a more beautiful line in the UK? 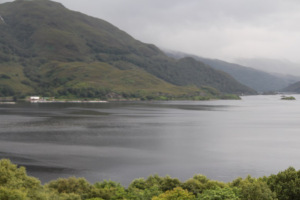 The prime reason for coming to Fort William was to take the steam train trip from Fort William to Mallaig and back. 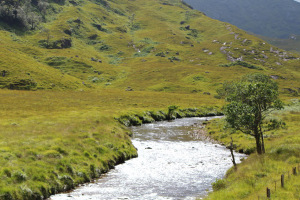 Before there was a bridge, this was the link to the ferry which departs from Mallaig to the Isle of Skye. 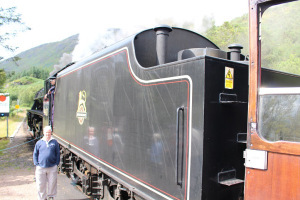 The steam train has gained a degree of notoriety as the Hogwart’s Express in the Harry Potter movies although the train trip is definitely not Harry Potter-themed in any way. 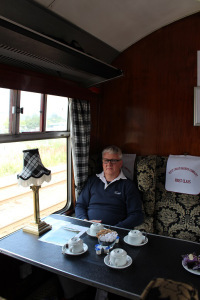 The train at Fort William. A stop at Glenfinnan Station. Lots of spectacular scenery. Some in sunshine. 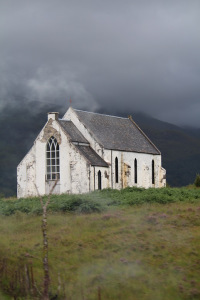 An old church which has also been used in movies. I wonder why? 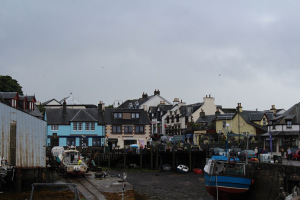 The village of Mallaig viewed from the wharf. 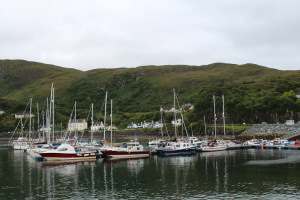 We had a couple of hours to wander around Mallaig at our leisure and then it was time for the return trip.